The application content and UI is in Chinese. 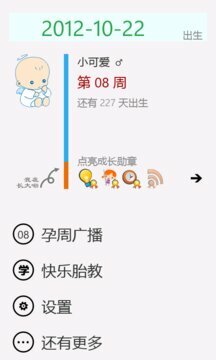 I'm pregant, use Haoyun of Windows Phone, a perfect tools for your pregant life. 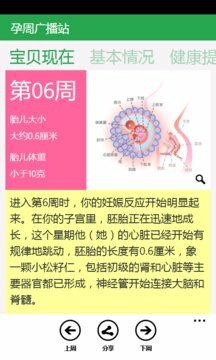 This is an application for baby and pregnant mother. In this apps, we help pregnant mother manage her pregnant life. You can find a lot of useful tools and calendar. You can get useful information about baby and mother.